Here are new patterns by me. 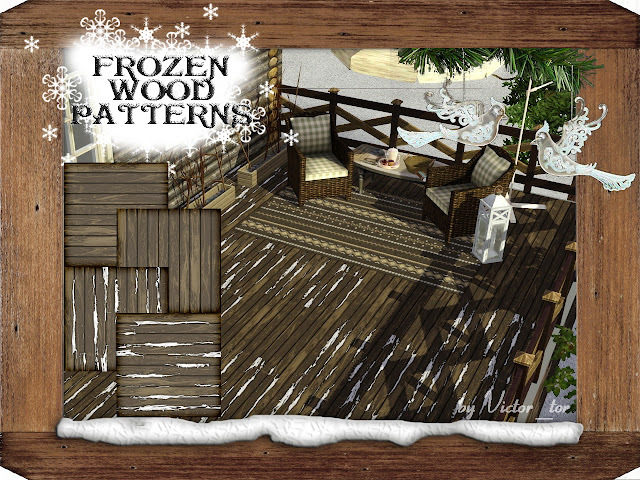 Just simple old styled wood patterns with snowy lines. They are having from 3 to 4 recolorable areas. Created with TSRW. Converting to package has been crashed my game (don`t know why) so they avialable only in S3P. Hope you like it.